This is the first article in a two-part series on managing your legal and tax liabilities when hiring exercise riders. It examines recent accidents involving riders, how to ensure a rider’s status as an independent contractor, and hiring basics. 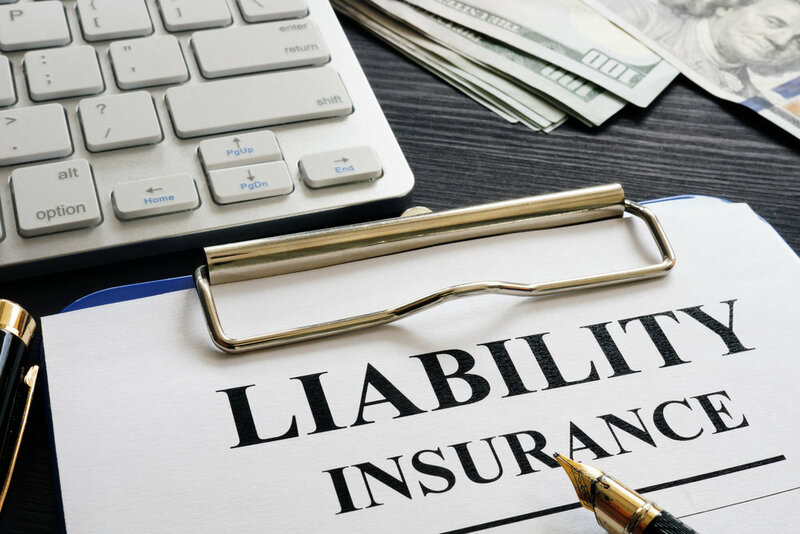 Part II will focus on available insurance protection for trainers and riders, as well as proper safety regulations, procedures and equipment, and equine liability laws. Shortly before 6:00 a.m. on November 11, 2018, Odanis Acuna, a long-time exercise rider at Churchill Downs, was taking two-year-old New York Harbor through a routine workout. Acuna was breezing the unraced colt when it suddenly broke down, sending both horse and rider crashing to the ground. The track’s EMTs responded quickly, but Acuna had sustained catastrophic head and neck injuries in the fall. He died shortly after their arrival. Odanis “Cuba” Acuna was admired for his horse skills, work ethic, upbeat personality and devotion to his family. He was 42 years old at the time of his death. The tragedy was one in a number of recent accidents involving exercise riders. Just 14 months earlier, Darren Fortune was killed when a horse he was exercising bolted after gallop at Woodbine in Toronto. Like Acuna, 43-year-old Darren Fortune was a highly seasoned pro who impressed many with his horse skills, people skills and work ethic. In addition to his morning sessions as an exercise rider, he worked as an outrider at Woodbine. Witnesses have stated that Fortune’s actions during the mishap that took his life very likely prevented other riders from being killed or injured. Kellie Hedges, another highly experienced exercise rider who had also served an outrider, was severely injured while working at Belterra Park near Cincinnati, Ohio. On the morning of June 26, 2018, the horse Hedges was breezing fell forward, threw Hedges, rolled over her, then rose and sped off down the track. Two outriders eventually intercepted the runaway horse—a filly that, remarkably, was not hurt in the incident. Meanwhile, the severely injured Hedges lay on the track in a daze. The Paulick Report and local news coverage reported no outrider attended to Hedges while she was down. According to Hedges, the “clear the track” alert siren sounded only briefly, and Hedges says other riders and horses returned to the track and continued to work while she lay immobile. Track-based EMTs appeared slow to respond to Hedges accident, and track security staff demanded Hedges exit the ambulance and be taken to track offices in order to verify her license. Eventually loaded onto another ambulance, Hedges was taken to the local hospital. After she arrived, emergency room physicians had her rushed to Cincinnati Medical Center, where she underwent emergency surgery to save a broken leg. Surgeries for other injuries followed. It is unclear if Kellie Hedges will ever ride again. Belterra has drawn sharp criticism for how the incident was handled. As of this writing, none of the incidents mentioned above have resulted in a lawsuit being filed. But others have. All pose a series of questions that you should be asking yourself. As a trainer, do you know what your liability would be if an exercise rider you hired were injured or killed while working one of your horses? If a horse you are training were injured or killed while being exercised? If another horse or rider were injured or killed in an accident involving a horse you are training? On an even more basic level, do you know how to ensure that a rider who works for you is viewed by the IRS and other government entities as an independent contractor, rather than an employee who adds to your tax and liability burdens? Are you familiar with the requirements for protective gear for riders? Or are you aware of the safety guidelines every exercise rider should be operating under on a daily basis? The answer to any one of these questions could dramatically impact your ability to earn a living as a trainer, especially if something goes wrong. This article is designed to provide you with broad, general advice about such issues. Remember, regulations vary widely. You should seek professional legal and insurance advice when dealing with the specific needs of your business. Under U.S. labor and tax laws, the IRS and other government entities draw a distinction between employees and independent contractors. State and local laws and tax regulations may also apply. Both an employee and an independent contractor may perform tasks for a company. But legally speaking, each is a distinctly different type of worker. In North America, an employer is responsible for specific payments toward an employee’s Social Security, unemployment insurance and Medicare funding. Often, employers are also responsible for an employee’s worker compensation insurance funding and certain aspects of offering or providing employee health insurance. The employer is also responsible for payroll reporting to the employee and the IRS. At the end of each calendar year, the employer must provide each employee and the IRS with a completed W-2 form. Employees may work for an employer on a full-time or part-time basis, and the number of hours worked may affect certain aspects of what the government requires the employer to fund or provide on an employee’s behalf. So why doesn’t every business simply declare its employees to be independent contractors and save big on tax payments, perks and paperwork? Because the determination is not strictly up to the employer. Laws, tax regulations and guidelines apply, playing an essential role in determining which workers are employees and which workers are independent contractors. Failing to follow the rules invites major trouble, especially if an employer tries to commit fraud by passing off employees as independent contractors. Doing so can lead to a nightmare of make-up payments and paperwork, as well as severe tax penalties and criminal prosecution.